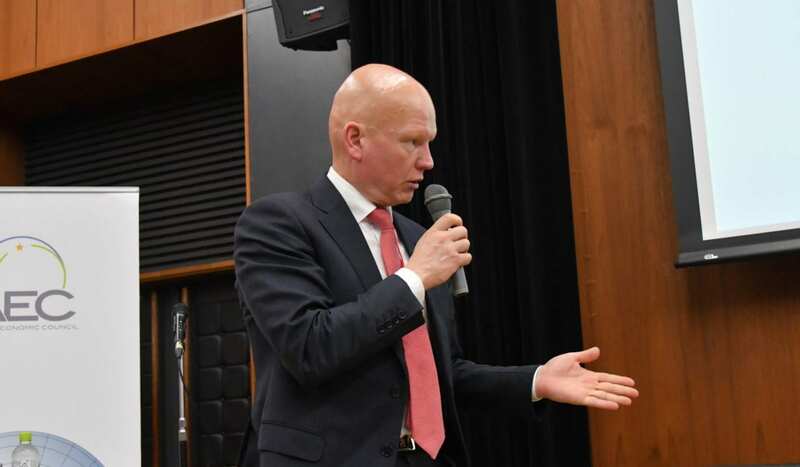 The Chairman of the AEC, Mr. Tero Vauraste, addressed British Members of Parliament and Arctic colleagues at the Palace of Westminster in London on January 17, 2019 in the midst of the Brexit turmoil. Market access and international collaboration were broadly discussed. The significance of free trade was well acknowledged by the Members of Parliament who described its importance in their speeches. The AEC is grateful to the Arctic Encounter and Polar Research Policy Initiative for this opportunity and is looking forward to increased collaboration with UK and US businesses.